The coaching staff needs a healthy Deshaun Watson for Texans success in 2018-19. Written by National Football League Expert Analyst Al Presto. Charliessports.com produces it for Football Betting. NFL Weekly Betting Predictions are the best in the industry and will continue through the Super Bowl in February of 2019. 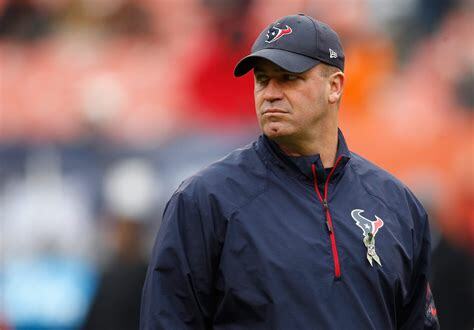 After Four seasons into the Bill O’Brien era produced two division titles and three consecutive 9-7 finishes 2017 looked promising until their prized rookie quarterback went down with a season-ending knee injury resulting in a 4-12, last place in the AFC South. A total of thirteen starters were placed on injured reserve in O’Brien’s only losing season propelling Jacksonville, and Tennessee to playoff berths. The team is slowing taking the identity of their head coach as being mentally tough with constant effort in all phases each time they take the field. Owner Bob McNair hired Brian Gaine as General Manager in the off-season: he immediately went to work by signing nine free agents. Former GM Rick Smith took a leave of absence to take care of his ailing wife but will be back as their Executive vice president of football operations. O’Brien is also serving as their offensive coordinator and loves to play smash mouth football by running the football down opponents throats. Houston rushed for (115.1) yards per contest last season, fourteenth league-wide. Halfback Lamar Miller led the attack with (888) yards rushing but O’Brien likes to run between the tackles, and bruiser D’Onta Foreman could supplant Miller as a starter. 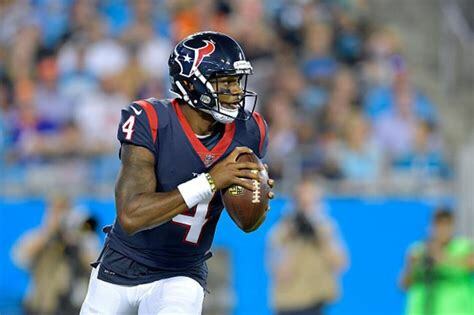 Signal Caller Deshaun Watson showed he was worthy of the number twelve overall draft pick in 2017, as their starter Houston’s offense average nearly thirty-five points per game. The offensive line got exposed after his injury prompting Gaine to add free agents Senio Kelemete, Zach Fulton along with tackle Seantrel Henderson teaming with former first-round pick center Nick Martin the only returning starter. All-Pro wideout DeAndre Hopkins (1,378) receiving yards with a team-high thirteen touchdowns is becoming a star. Will Fuller has the speed to stretch defenses while former Ohio State standout Braxton Miller can play multiple positions. The staff expects draft pick Keke Coutee to compete for a job in their rotation at wide receiver. 2009 first round draft pick and the franchises leading tackler Brian Cushing is gone, but longtime defensive coordinator Romeo Crennel, and J.J. Watt return to a twentieth ranked unit in 2017. Watt along with nose tackle D.J. Reader and Christian Covington were all casualties last season their presence will help tremendously both stopping the run and getting to opposing quarterbacks. Inside Linebacker Benardrick McKinney signed a massive deal in June, he along with second-year pro-Zach Cunningham should be a dynamic duo. On the outside where an underrated Whitney Mercilus is consistent and underpaid compared to Jadeveon Clowney who’s finally living up to his status as the number-one overall pick in 2014. Free Agents Aaron Colvin (slot cornerback), and safety were the two most significant free agents acquisitions to help a pass defense which allowed (237.4.) yards per game through the air. Watt, Clowney, and Whitney Mercilus are proven pass rushers: they must take it to another level in 2018-19. Bovada.Lv, list the Houston Texans at 7/4 to win the 2018-19 AFC South division title. Free Pick. 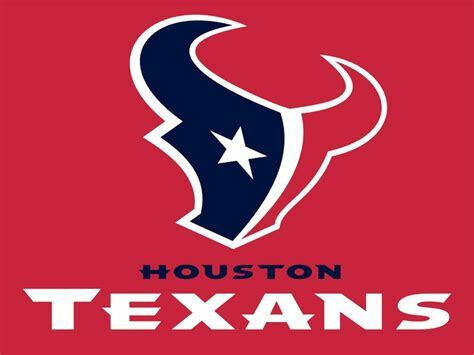 The 2018-19 Houston Texans will go 10-6 in the regular season Also, Play Online Poker Plus Other Casino Games and enter some of the best Tournaments on the World Wide Web.